Last year, these were two separate events, I did the Mont over the weekend, came home on the Monday, and left for MTB camp on the Tuesday. At the time, some of the kids on MTB camp showed an interest in doing the Mont 24. 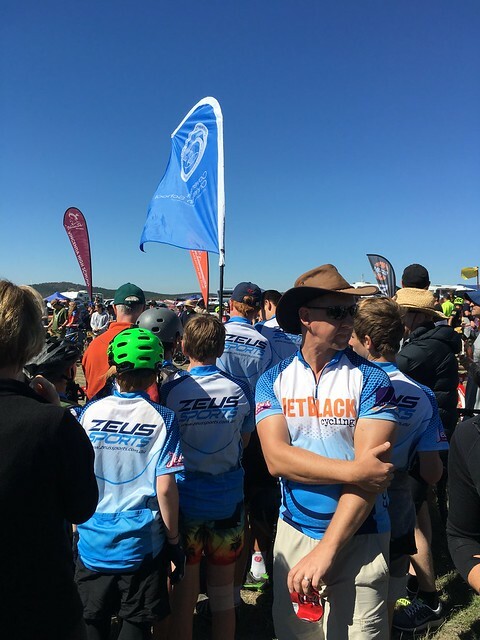 So the decision was made to join these events together and put together a team of kids who were keen to ride in the Mont, and turn that into our camp week. We had 12 riders in total, enough for 2 full teams of “Young Guns” which was fantastic. We put together some training / practice rides to get used to riding a bit more over some off-road terrain, as well as at night. Thanks to Sydney’s long wet during February and March, we had a little less riding that we had planned, but still enough to be comfortable riding under lights. Rach was also able to join for the weekend, with Mum and Dad looking after the kids, so it was a bright and early 5am on Friday morning that saw us leaving school for the trip down to Kowen Forest, not far from Bungendore. 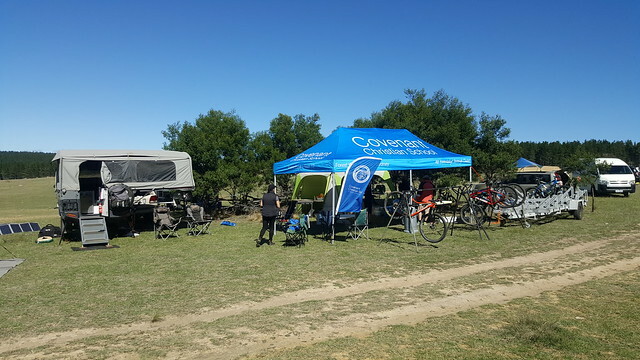 We arrived before 10 which was plenty of time to find a suitable camp-site and set camp. After lunch the whole team, along with some intrepid parent helpers did a full lap of the 16km course. An early night was had on Friday, with plenty of sleep before the race was to begin on Saturday at 12 noon. As always, race start at the Mont was a great spectacle. The atmosphere is full of excitement and the kids really enjoyed that. Sadly this is to be the last (for now) Mont. The organisers have said that it will be the last. I think that falling numbers, huge competition in race style events, and a changing MTB culture have all played a part in this. Back in the day you would have only about 24 hours to get an entry in before it would sell out. In 2017, they really struggled to get the numbers to run the event. It is sad to see it come to an end – and even sadder to have not actually participated in the last – but totally understandable. Our 2 teams did get to participate in the last ever Mont, and they did that with great enthusiasm. Great times were had, thrills (and a few spills) encountered, and the hero race finish experienced. 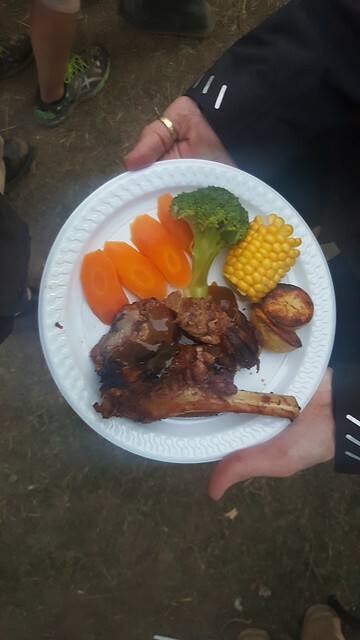 We finished off our time at the Mont camping there on the Sunday evening, reflecting on a great event and the privilege we had to participate, over a beautiful lamb roast. Oh yeah, this is camp food! Camp food ain’t what it used to be! Monday morning we packed up and headed up to Wingello State Forest, where we had camp last year, to stay for a night and ride some trails there. Unfortunately there were some constant showers, and a mechanical failure for one of the boys which cut short our ride there. The boys though were happy enough just cruising around on their bikes near the camp site. Another early night was had before we had to head back to Sydney for the end of our camp on Tuesday. Constant passing showers make a dry pack up a little bit of a lottery, which I almost won, but not quite. Oh well, at least it wasn’t too wet, and wouldn’t be too difficult to put up at home when we got back. With the demise of the Mont, I’m not sure what we’ll do for MTB camp next year, but I’m pretty sure it will involve plenty of riding, and camping… somewhere! I also need to give extra thanks to both Rod and Ness Post, for their support for camp. Rod as chief bike mechanic, and encourager, and doer of anything that needed to be done. And Ness for catering for us, cooking, helping out, and just being awesome. We couldn’t do it without you both!